Tuesdays, Wednesdays, and Thursdays are buy one, get one 50% off specials. 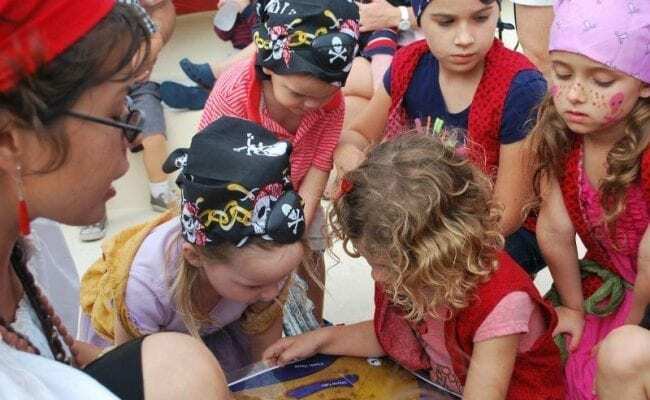 Bluefoot Pirate Adventure is a fun, interactive pirate cruise for adults and children offering a daily pirates’ treasure hunt along the Ft. Lauderdale waterway. 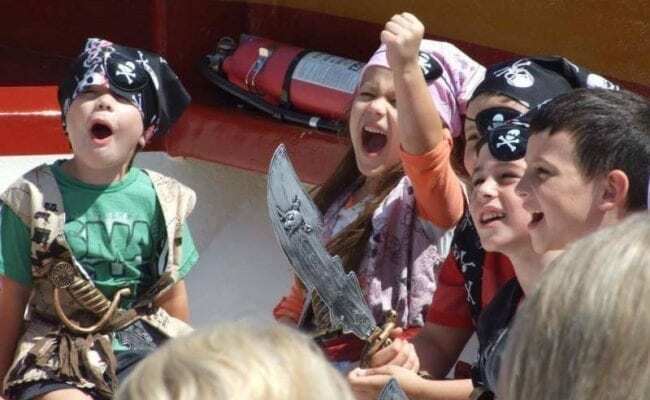 Upon arrival, children are gussied up into pirate attire and for a small fee, you can buy some pirate gear like an eye patch, bandanna and sword. 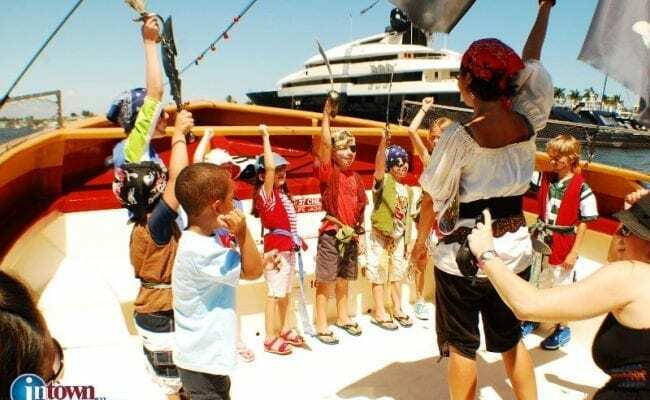 During the 1 ½ hour trip children learn the basic layout of the vessel and safety measures to be taken. Once all have boarded and taken their positions, the adventure begins. The first half of the trip concentrates on science, and the second half including social studies and local history – while following nautical charts and locating specific landmarks. 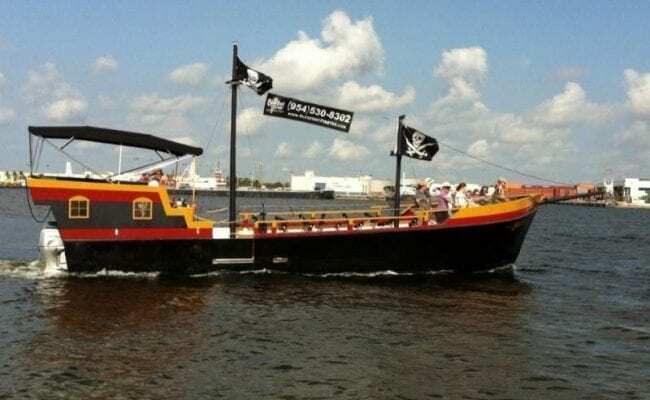 The trip will end with a “battle on the high seas (intracoastal)” with the notorious “Barnacle Bill”, looking to claim a long lost treasure. All junior pirates will leave with a bag of booty, an official pirate certificate, and an experience that will not soon be forgotten. 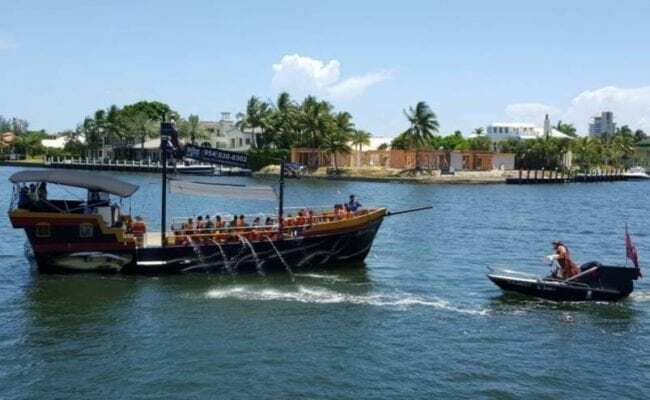 Bluefoot Pirate Adventure cruises take place every day at 10 a.m., 12 pm., 2 p.m., 4 p.m. and 4 p.m. from Bahia Mar located at 801 Seabreeze Blvd., Fort Lauderdale. The cost is $25 per person; $6.50 for those 2 and younger. *Please note; Boat may not sail at every time listed above based on season and reservations.